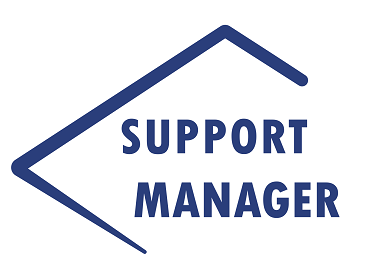 The four and a half day Support Manager course is uniquely created to provide training on the fundamentals of management relative to the support environment, and to enhance the inherent skills and knowledge of the support manager. This course focuses specifically on the most common management elements that occur in the technical support centre including, managing customer satisfaction, operations and team performance management and facilitating a team while managing a dynamic service product. This course offers support managers the opportunity to develop and refine their technology support leadership skills enabling them to effectively manage the challenges of the most complex support centres. The Support Manager course is for managers who have at least six months management experience and have received some basic management training. The list of Certified Support Managers from around the world. Great course and very informative. Very happy overall. Constructive feedback: Some modules and content can be better prepared or completely removed.. Some questions from Module review are ambiguous. At times we had to rush into some content to get through the day even when starting early. Steve was very engaging and his way of presenting really helped me make the connection to the content. His use of analogies at the right times really drilled home points to me and allowed me to make much stronger reinforcements to the material. I found even in the exam I was regurgitating his words but this was due to how effective he put these across to me and I felt that making that personal connection allowed me to digest this information much more easily. The course is intense and there is a lot to get through but I felt the pacing was good and well spread out. It has made me realise that I should be doing these kinds of courses more frequently to not only reset my focus but keep learning new ways to be more effective in my role. Steve is infectious and really delivers the content with vigour. He has inspired me to improve and be a better leader. I thought the advanced reading was very useful and set a good tone for the course. It was not obvious to me before I registered that this course had an exam and a certification – and now it is not clear to me what the value of the certification is. In some ways I can see that knowing there is an exam helps to ensure that everyone is focussed during the course, but I also found it meant I was perhaps thinking more about the upcoming exam than about how the learning would apply to my organisation. To be honest I would have found a fifth day of learning more useful than the exam…. Steve is fantastic. He is very experienced and he knows what he is talking. I loved these classes. Will recommend to my colleagues. I suggest if we could add a section how some regulations impacting the support industry such as GDPR. We are having trouble with some customers in EU not allowing data to be shared outside the EU and its impacting follow the sun model. I am sure other customers may be having same challenges. We are working on a process to handle this but if Steve suggests some best practices based on his experience with other customers, it would be really great. Thank you Steve. Also thanks Michele for reminding me of this course and make sure I registered. She is really great in her job.